I wanted to share one of the quick cards from the Card Lover's Class. Quick cards are great to have on hand, when you need a card in a hurry. However, just because they are quick it doesn't meant they can't be special. I love the texture, layout, and bright colors of this card. I used my circle dies to cut out the hole for the sentiment. I used pop dots to adhere the lightbulb panel to the card base. It added just the right amount of "pop" to the card (LOL..)! 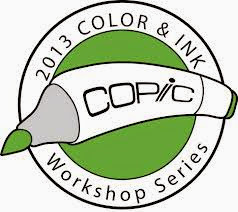 Copics...only one! I used Y17 to color the gem stones. I added glitter to the stars in the lightbulbs. The glitter didn't show up real well in the photos but in real life it just sparkles! I hope your day is bright!